During the regular season, Draymond Green emerged as one of the new faces of the NBA. He is a triple-double machine who can play multiple positions and his abilities at both ends of the floor against bigger players is the key to the Warriors' dominating "small-ball" lineup. 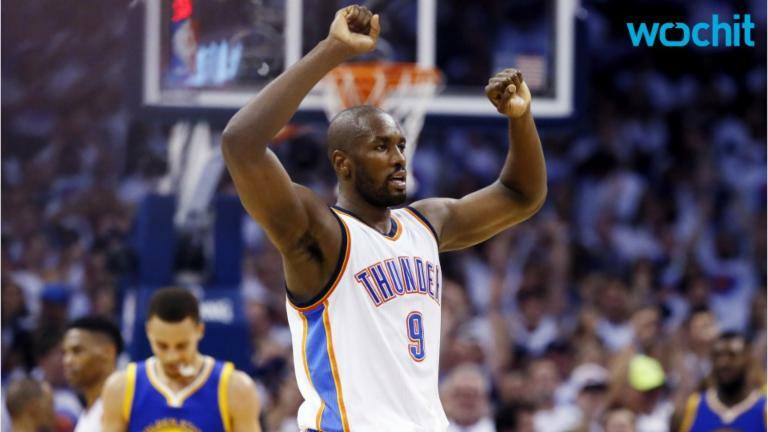 The NBA recognized Green's value as he finished seventh in the MVP voting. Green's value can be seen in the plus-minus stat (+/-) which measures how many more or fewer points a team scores with that player on the floor. Green led the NBA this season in +/-, averaging +13.2 per game during the regular season. That dominance peaked in the first seven games of the postseason, with Green's +/- surging to +19.9 per game. But then things started to fall apart and so have the Warriors. In the Warriors' last seven games (4 losses), starting with Game 3 of their second-round series against the Trail Blazers, Green has had only two games with a +/- greater than 0 and has averaged -6.1. The worst came in the last two games, a playoff-record-low -43 in Game 3 and a -30 in Game 4. 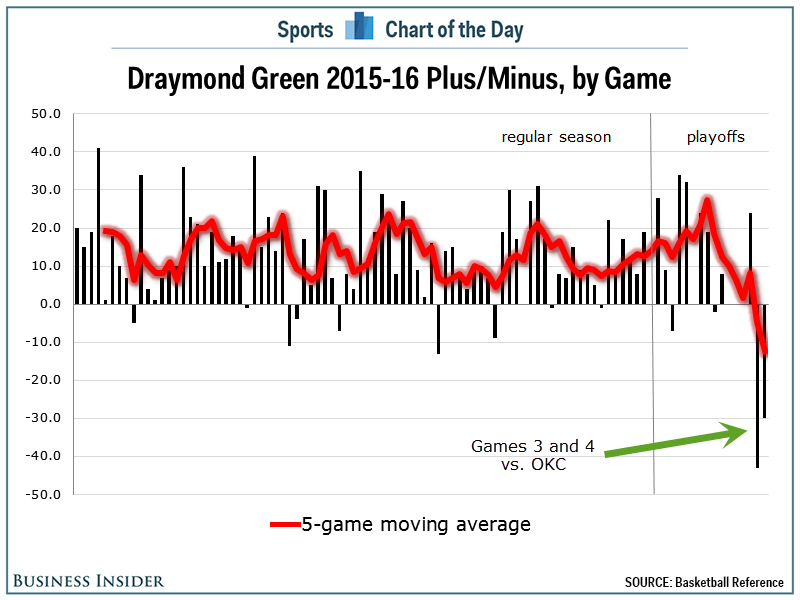 If the Warriors are going to survive this series, they need the red line below (a running average of Green's five most recent games) to start trending back in the positive direction.